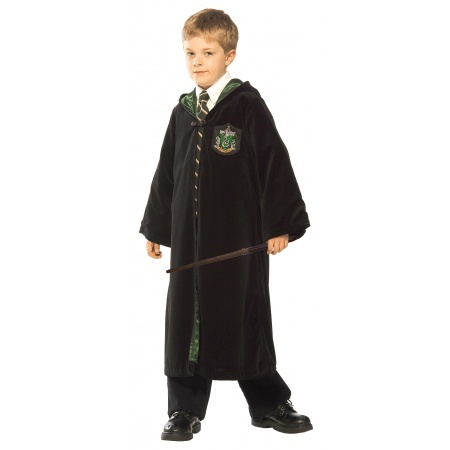 Includes one velvet Premium Slytherin Robe for kids with embroidered Slytherin patch. 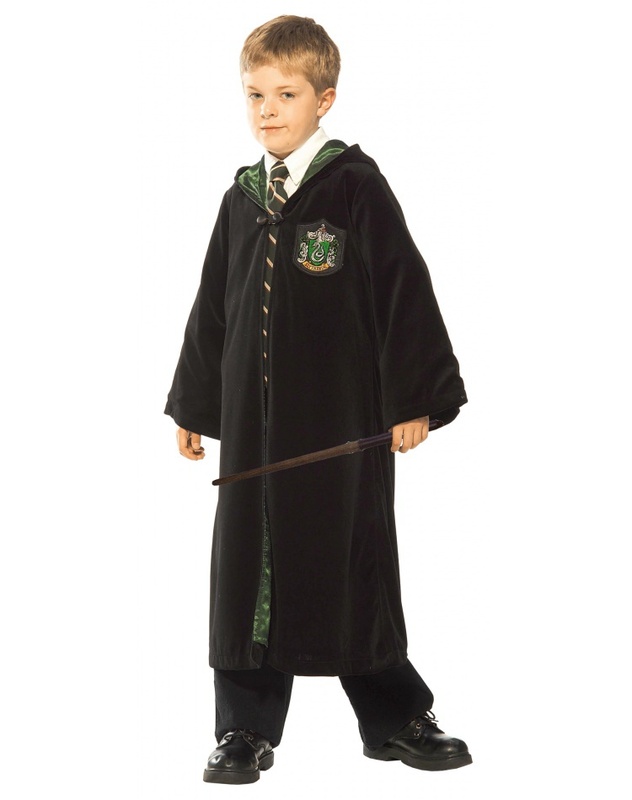 This Slytherin Robe comes in child sizes Large, Medium, Small. This Slytherin Robe is an officially licensed Harry Potter costume. Great for Draco Malfoy Halloween costume!